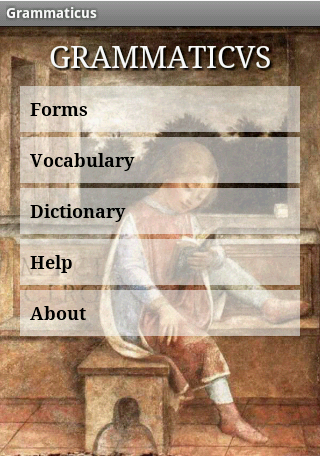 I am a high school Latin student, and my teacher showed the Grammaticvs Android App to me. However, I don’t have an Android phone. Is there any way that you could release an iPhone/iPad version of this app? 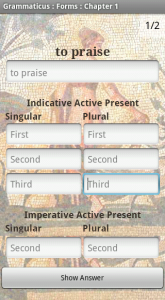 It would be extremely useful in my Latin studies. Thanks! Salve Andrew! I’m working on an iOS version as we speak. However I can’t say when it will be ready. I’ll keep you posted. Please let me know when the iOS version is available. Any clues yet to the date of release? 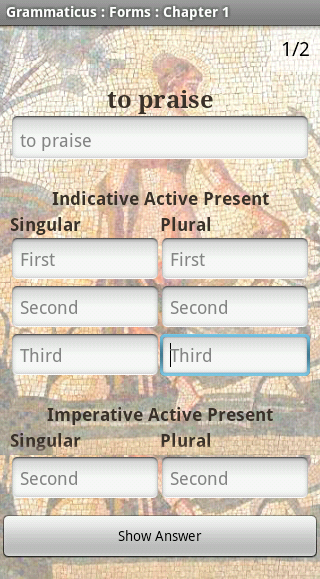 I just purchased the wheelocks Latin 7th edition and would also be interested in the IOS version as well. Wheelock content copyright Martha Wheelock, Deborah Wheelock Taylor, and Richard A. LaFleur; Wheelock’sTM is a trademark of Martha Wheelock and Deborah Wheelock Taylor. The Wheelock’s Latin Series is available from HarperCollins Publishers, 10 East 53rd Street, New York, New York 10022; audio CDs, vocabulary cards, and numerous other ancillaries are available from Bolchazy-Carducci Publishers, Inc., 1570 Baskin Road, Mundelein, Illinois 60060. 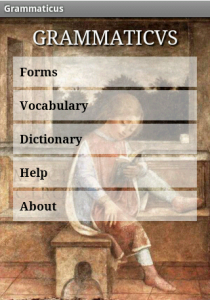 Teacher’s guide, online audio, and other resources at the Wheelock's Latin Website.